Our team at Air Comfort HVAC is dedicated to providing top quality service and expert solutions for your home or business. We work with you to provide the system and services that fit your needs. Leave the job to us! Air Comfort HVAC offers our full range of home comfort services to our friends and neighbors all across Dalton, Chattanooga, and surrounding areas and beyond! If you want to make sure we can get to you before you call, feel free to check out our service area below. Whether it be a new installation, repair, or routine maintenance – we’ll keep you cool all summer with our expert A/C service. Control the climate in your home with more ease and precision with a state-of-the-art WiFi Thermostat installed by our team. Keep your facility running smoothly and efficiently, our commercial services are catered towards your business needs. Air Comfort HVAC offers a full range of expert residential and commercial HVAC services in Dalton, Chattanooga, and surrounding areas, including new installation, retrofit, seasonal maintenance, and prompt repair. Specializing in a wide variety of products and strategies to improve the health, safety, and comfort of your indoor space, while trimming operational costs and ensuring reliability, we’ve earned a well-established reputation for doing the job right the first time. From heating, cooling, and air quality equipment to zoning capability, duct cleaning, and standby generators, we effectively resolve challenges. At Air Comfort HVAC, we stand behind every job with a 100% Satisfaction Guarantee. When you call, be assured we’ll be there for you. Our factory authorized, fully licensed team of technicians combine experience, expertise, and ongoing education to ensure trustworthy and sustainable solutions. We further facilitate customized service, quality materials, and quick turnaround with our in-house sheet metal fabrication shop, featuring CNC (Computer Numerical Control) plasma cutting work. This state-of-the-art technology enables a computer to direct a plasma torch based on a coded program for unmatched precision. For top quality HVAC repairs, maintenance & installations, trust in Air Comfort HVAC! 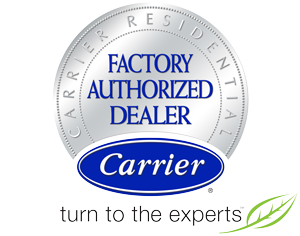 Contact Air Comfort HVAC at 706-952-4197 to learn more about the benefits of our services, qualifications, and to schedule a convenient consultation. Adhering to unwavering standards of customer dedication, we arrive on time, prepared, and protect your property. We are always here to provide professional assistance with Emergency Service throughout Chattanooga, TN, Dalton, GA, East Ridge, TN, Fort Oglethorpe, GA, Ringgold, GA, Hixson, TN, Harrison, TN & Rocky Face, GA. Your Comfort is Air Comfort. "The BEST company and people to work with! Jeff listened to our current and future needs and DESIGNED a custom system for our new home with zones for each area of the house. We can even control our thermostats remotely from our cell phones. It has worked perfectly and already been such an energy saver!! Spending a little more during construction was SO worth it :) Highly Recommend!! !… "
"We LOVE Air Comfort! Literally! They came out the day we called and installed our Carrier system the next day as promised. EVERYONE was very professional, courteous and prompt. We truly do love Air Comfort and the comfort they give!…"
Customer may choose one coupon per installation.